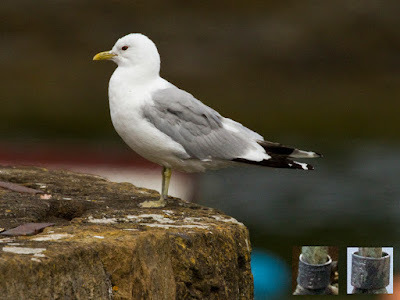 I started getting into ringing from reading the metal rings on gulls, particularly Common and Black-headed Gulls. 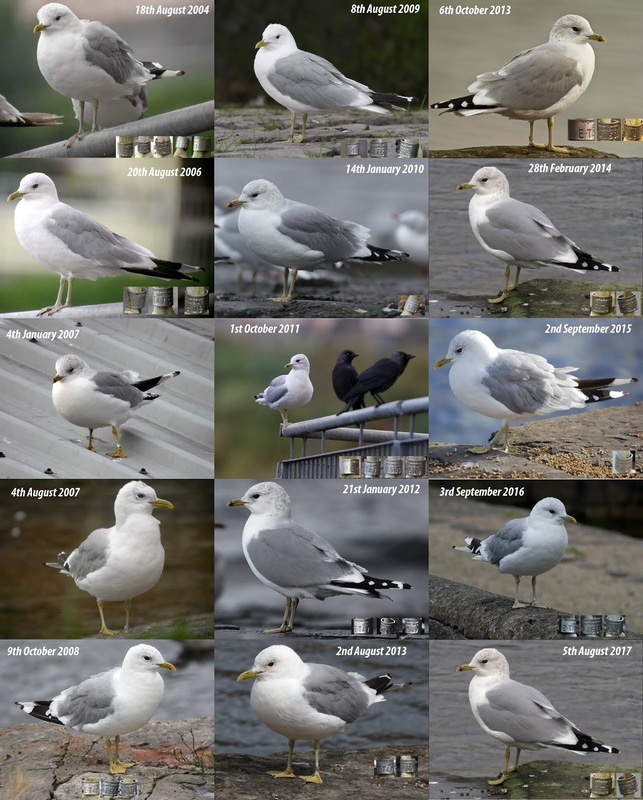 Back in 2004, I read the ring of a handsome Common Gull, and was thrilled to hear back from Hugh Insley about where and when it was ringed. It was a chick (one of a brood of three) which was ringed on 26 May 1997 at Loch Tarff, near Fort Augustus, Highland, which was 400 km from where I saw it in Sligo Harbour, Ireland. I have seen this bird at least once every winter since 2004 and have just seen it back for its 20th year this weekend, looking quite fresh for its age. 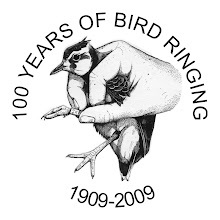 I emailed Hugh when I decided to move on from ring-reading to training as a BTO ringer and I remember the reply well. He said it will add a lot to my birding, but it will also take away some of my enjoyment of birding, as my enjoyment of every bird or group of birds seen will be diluted by....."now how could I catch that?". He was partly right, but I have gained so much more than I have lost overall. 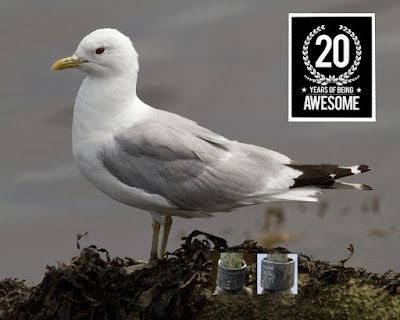 This bird has a little way to go yet to break the longevity record of 27 years but hopefully it will keep returning to Sligo Harbour for a few more years to come; Mícheál will be waiting! 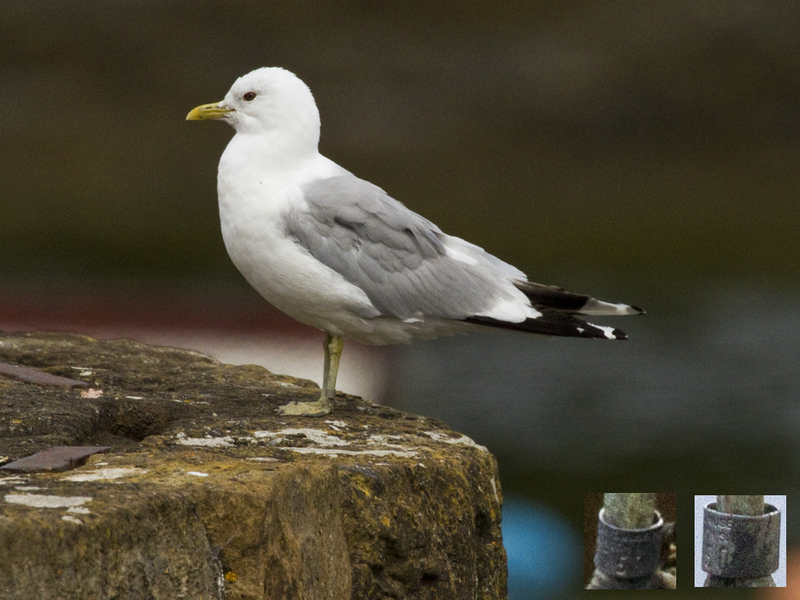 If you are able to read the ring of a gull while it's stealing your chips or just loafing around on the beach, please report it to www.ring.ac. You will be sent all the details on the bird and your record will help build a more complete picture of its movements.